Stapleton-Spence Packing Company receives Grade “A” in BRC assessment at their Gridley, California food processing and packaging plant. The grade of “A” is the highest attainable level. The BRC Global Standards are a leading global safety and quality certification program, used throughout the world by over 17,000 certificated suppliers in 90 countries through a network of over 80 accredited and BRC recognized Certification Bodies. Many UK, North American and many European retailers, and brand owners will only consider business with suppliers who have gained certification to the appropriate BRC Global Standard. The scope of the BRC assessment at Stapleton’s covers receiving, storage, processing, packaging, and transport of dried fruit (i.e. prunes) and juice products. BRC best practices include how a company manages foreign body detection, pest control, complaint handling, and product recall. 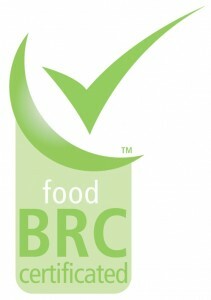 The BRC process is a way for Stapleton’s to demonstrate the quality, safety and legality of their products and services. Stapleton’s is committed to food safety from farm to table, strictly adhering to certified manufacturing and quality assurance processes. Food certifications include USDA, kosher, and organic. Stapleton’s processing plant is GFSI compliant, BRC Certified (Grade A), and has a Gold Silliker Food Safety rating. Additional certification information can be found on the Certifications page. Stapleton-Spence is a privately held manufacturer that produces and distributes co-packed, private label, and branded food products. Companies that quickly want to reach the 30 million West Coast consumers use Stapleton’s to develop, process, pack, and warehouse their fruit, nut, and juice products. Stapleton’s co-packs bottles, cans, form/fill/seal and pouch bags, and aseptic products. Stapleton-Spence is a family-operated company in business since 1951.